Spruce 3 — Academic Housing Rentals Inc. 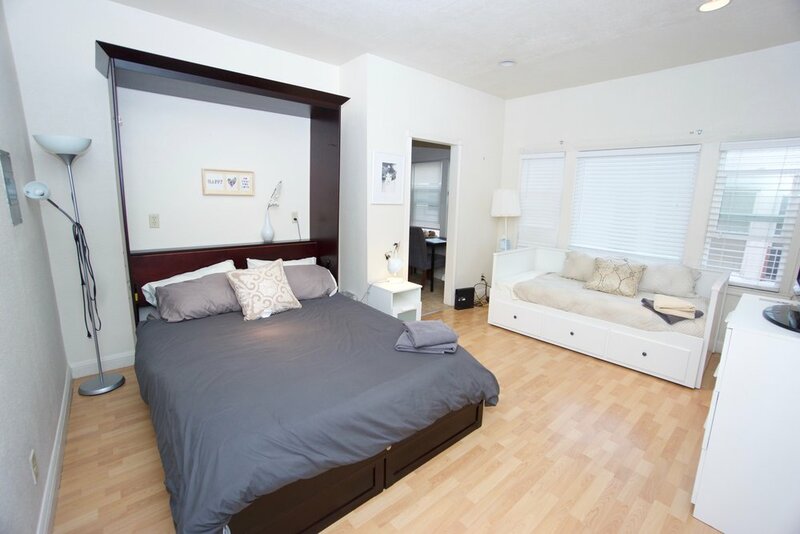 This is a modern, unfurnished or furnished, upscale studio apartment with 2 beds . The apartment is across the from UC Berkeley's Campus and a short walk to Downtown Berkeley or Berkeley Bart and access to the best Berkeley has to offer. 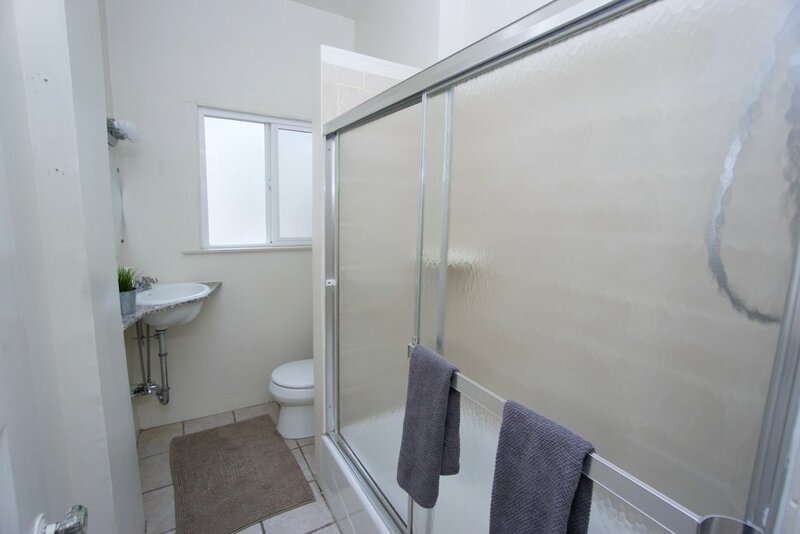 This is a modern studio apartment comes unfurnished neat the heart of Berkeley. The apartment design offers modern furniture, upscale features with custom finishes. The apartment is a short distance from BART and right across the street from the UC Berkeley campus. Featured in this apartment is a beautiful kitchen and eat in area. 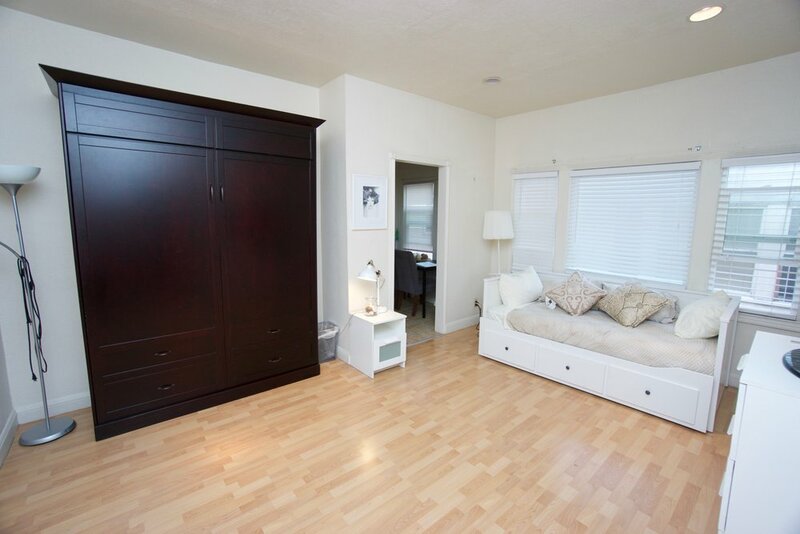 This apartment includes a queen-sized Murphy bed and a twin-sized sofa-bed and study space if fully furnished. We handle all apartment amenities, kitchen and bathroom essentials, and more! All you need to bring with you are your personal items, and we will handle the rest. The kitchen with granite counter tops is fully equipped with all the amenities you need (furnished), including a stainless steel refrigerator and electric range. For more amenities, please visit here. This apartment is located close to UC Berkeley's campus and in Downtown Berkeley. Across the street from UC Berkeley's main campus this listing is in a quiet neighborhood with access to everything Berkeley has to offer just a short walk to Downtown Berkeley Bart. Enjoy some of the best dining Berkeley has to offer. We are looking for a responsible group of individuals to rent a furnished apartment for either the summer session, fall semester, spring semester, or the academic school year (Fall & Spring Semester). This apartment is ideal for UC Berkeley students, visiting scholars, scientists and researchers, professors, and working professionals. Please message me expressing your interest in my apartment and tell me a little about yourself and who would be renting the unit. More details are available upon request. Thank you, and welcome to Berkeley.